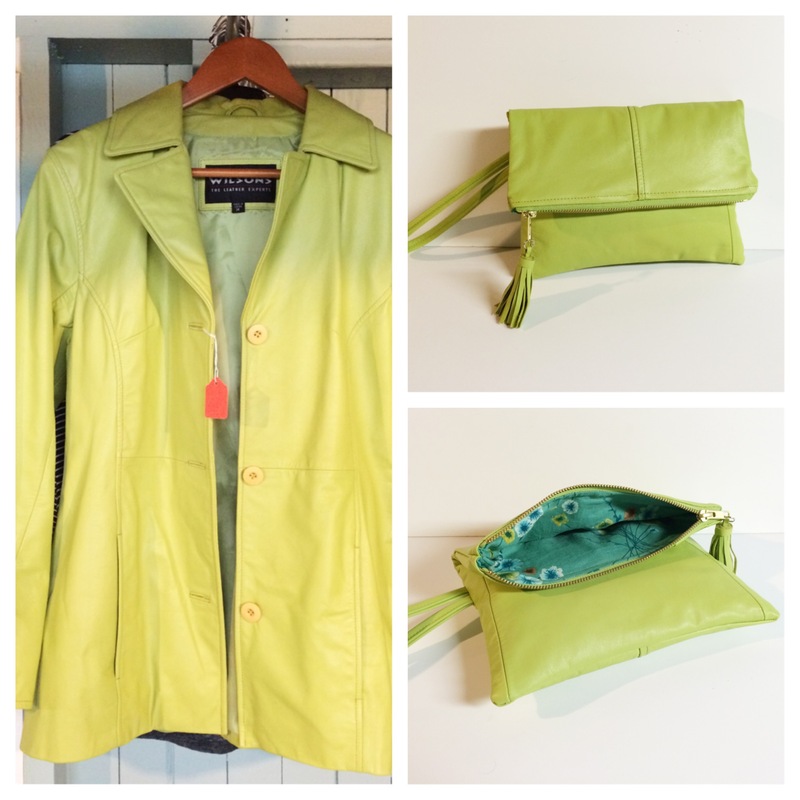 A few months ago I posted this lime green leather coat that I found at a garage sale… I thought about keeping it to wear, but I ended up cutting it up because it didn’t fit me (nor could I pull off the look if it did). I sort of forgot about it till yesterday when I was sorting through some fabric and BOOM, an idea popped into my head for what to do with it. I don’t work with leather much so I wasn’t even sure my standard machine could handle it. Luckily the leather was pretty lightweight, and while my machine wasn’t too happy with me when it involved sewing a few layers together, I kept going… Behold this sweet foldover clutch! It’s so cute, I might have to keep it!